Earlier this year, Jenifer Stuber was named General Manager of the Dry Creek Landfill. 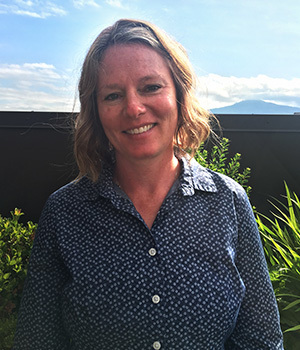 She brings vast experience in the solid waste industry to her position at Rogue, having managed landfills, transfer stations and compost operations. Prior to her landfill work, Jennifer spent 17 years as an engineer and project manager working for both state and federal government agencies. She has a Master of Science degree in Biosystems Engineering, a bachelor’s degree in Environmental Engineering, and is a licensed civil engineer. When she’s not hard at work overseeing the operations team at the landfill, you’ll find Jenifer having fun with her family — including husband Matt, twin five-year-old boys and her “eight-year-old puppy” Sammy. Her oldest son, Sawyer, lives in Boise following his graduation from Boise State. On behalf of everyone at Rogue Waste Group, welcome to the family, Jenifer!